Bluffview and the Woodlands of Camino Real are a part of one of North Central San Antonio's premier neighborhoods. Camino Real is composed of serveral joined neighborhoods; the Woodlands, Bluffview, Bluffview Estates and Bluffview Heights of Camino Real. Camino Real is one of San Antonio's more established neighborhoods with mature trees in every yard and homes, each with their own character. Homes for sale in the neighborhooods of Bluffview Heights and Bluffview Estates, located near Bitters Rd and Hwy 281 in North Central San Antonio. Camino Real close to Churchill High School and Eisenhower Middle School. Find homes for sale in Boerne Tx, located 30 miles northwest of San Antonio on I-10. Resident of Boerne enjoy the very best of Texas Hill County living! Castle Hills is a small community located just outside Loop 410 and Blanco. Castle Hills is its own city within the city limits of San Antonio. Encino Park is composed of several different neighborhoods in San Antonio's North Central area. It's located just off Hwy 281 North and Encino Rio. Encino Park is very family friendly with close access to elementary schools, Bush Middle School and Johnson High School. Helotes, TX is located just northwest of San Antonio, minutes away from Loop 1604. Helotes provides its residents with Texas Hill Country living, in a quiet, peaceful environment without the small town commute. Hollywood Park is located in North Central San Antonio near Hwy 281 and Loop 1604. Hollywood Park is it's own city inside San Antonio's city limits. Sonoma Ranch is a gated community located in Northwest San Antonio, in Helotes TX. Sonoma Ranch is part of San Antonio's Northside Independent School District (NISD). Sonterra is one of Stone Oak's premier neighborhoods, located north of Loop 1604 and Stone Oak. 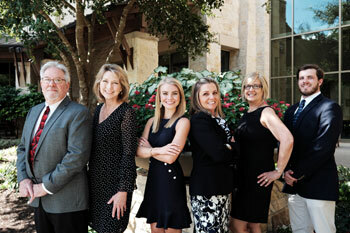 Sonterra is part of San Antonio's North East Independent School District (NEISD). The Vineyard is master-planned community, located in North Central San Antonio just outside Loop 1604 and Huebner. The Vineyard is part of San Antonio's North East Independent School District (NEISD).